Installing walkways or paths in your landscaping? Put your best foot forward with stepping stones from Patio Town. From natural stone and flagstone to exposed aggregate patio blocks and precast concrete blocks, we'll help you find the perfect match for your outdoor space. 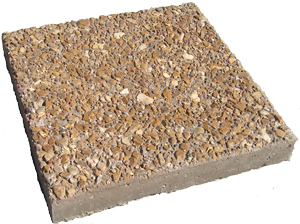 Precast concrete blocks are available in various shapes and colors. Arrange them to create patios, landings, walkways, paths and more. Chilton Steps are a stunning natural stone for stairs. They also work well within other hardscapes, such as leading up to a patio or where a paver path approaches an incline. Capstone Fire Ring Caps lend a natural stone elegance to fire rings at a fraction of the cost and weight of real stone. These caps are available in three colors: Black, Walnut Brown and Slate Gray. These solid concrete units are designed to stay put. An economical alternative to natural stone, VERSA-LOK step units make it easy to create consistently level, flat stair treads. VERSA-LOK step units have a natural stone appearance. Colors are integral throughout, so these units will stay looking great for years to come. Click here for more info. These attractive and durable step units measure 6" tall x 18" deep x 48" wide. 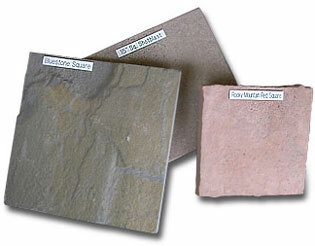 VERSA-LOK Step Units come in two colors: Desert Brown and Canyon Gray. Willow Creek’s new CapStone column caps and coping units bring a natural stone elegance to your landscape columns and freestanding walls. And that's at a fraction of the cost and weight of real stone. CapStone column caps and coping units feature natural looking chiseled edges and come in two colors: Canyon Gray and Desert Brown. Install Willow Creek CapStone products with concrete adhesive as you would any other column cap. Click here for more information. Accent Your Freestanding Walls with CapStone Coping Units. Click here for more info. • Dimensions: 16"-14" x 12" x 2"
• Dimensions: 18" x 12" x 2"